Rev. Johnson Thomas Unnithan is from Sirsi, Karnataka where he did his schooling and college, including his Masters in Commerce (M.Com). Johnson Achen did his Bachelors in Divinity (BD) from Kottayam Marthoma Seminary. 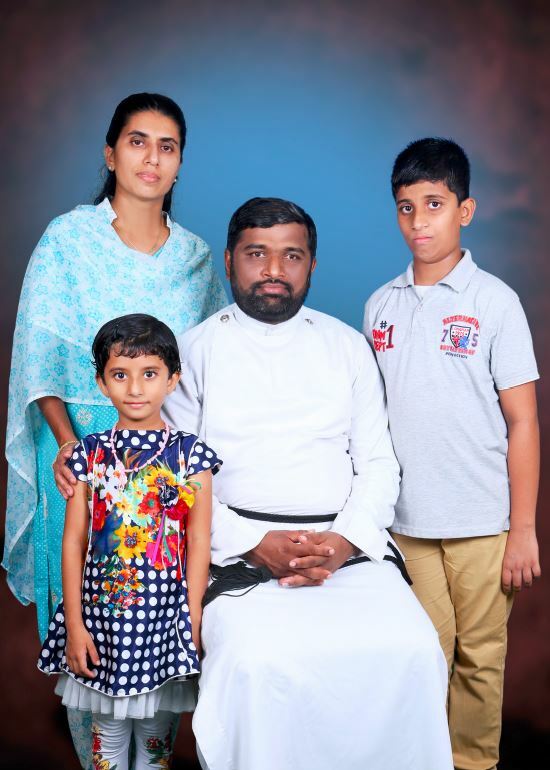 Achen was ordained in 2004 and worked as a missionary in the KNS mission in Kolar District in Karnataka for 6 years. He has been working with the Mydukur Mission in Kadapa, Andhra Pradesh till 2014. Susan Kochamma is from Chathannoor, Kollam, Kerala. She completed her Masters of Science (M.Sc) and Bachelor of Education (B.Ed.). She worked as the Principal of the Gnana Jyothi Mar Thoma School Mydukur.